Ilinda has worked with executives and high net worth individuals for more than 25 years addressing the varied issues they face, such as investment, tax, retirement and estate planning. 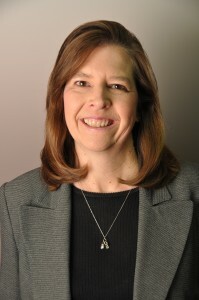 Ilinda began her career at a law firm where she prepared tax returns and drafted wills and trusts for various estate planning techniques. Ilinda also worked at Ernst and Young for approximately nine years and led the personal financial counseling practice for the firm in Memphis and Nashville. In addition, Ilinda taught several courses in the area of income taxation and estate planning, and she served as an adjunct professor at the University of Memphis, teaching the Estate and Gift Tax Course to graduate students. Ilinda’s formal education includes a Bachelor of Business Administration in Accounting and a Masters of Business Administration in Finance from the University of Memphis. "I have tried other planners and CPA firms that do tax work... FSG doesn't bend my corners to fit any cookie cutter. They talk to me as an individual, understand what I'm wanting to get done and they do it better than anyone." © 2019 by FSG, PLC. Designed by Beyond Brick and Mortar.